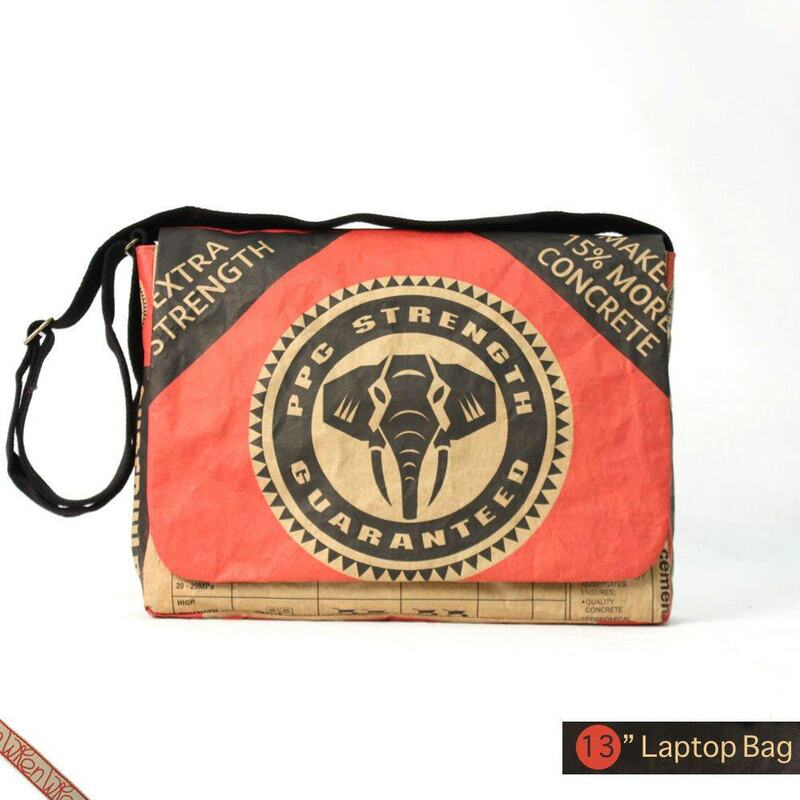 One the most well known companies using recycled materials, I guess, would be freitag.ch, there is also elvisandkresse.com, who makes fashion items from recycled fire hoses, which is pretty cool. 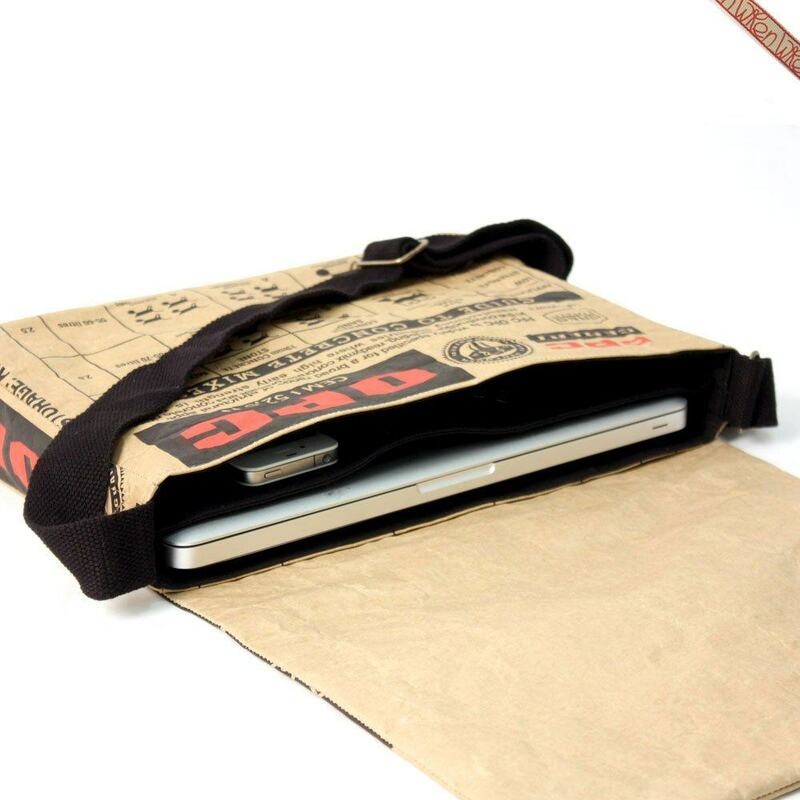 Although I’ve checked 100’s of laptop messenger bags, there have been only a handful that I really feel suit my style, and would be happy enough to hold my Macbook Air. Etsy is a great place to find all sorts of treasures, and I have ended up buying numerous camera cases, phone cases and other things over the last few years. 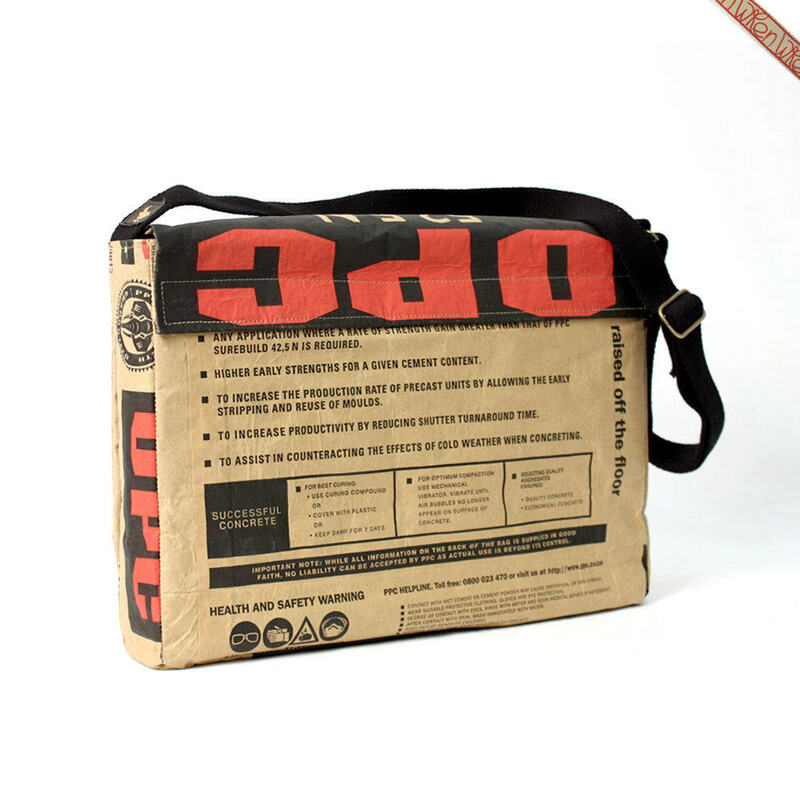 Etsy again came up trumps for a suitable bag in the form of this fantastic recycled / repurposed Cement bag made by The Wren. 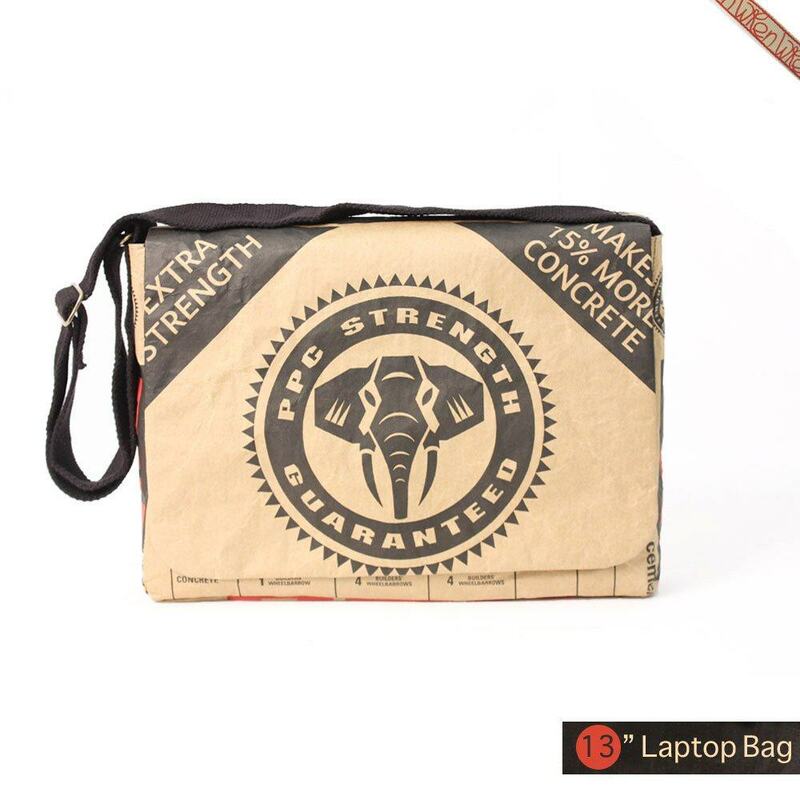 It’s almost as though the design of these cement bags was done with the messenger bags in mind, as they just seem to look so perfect. 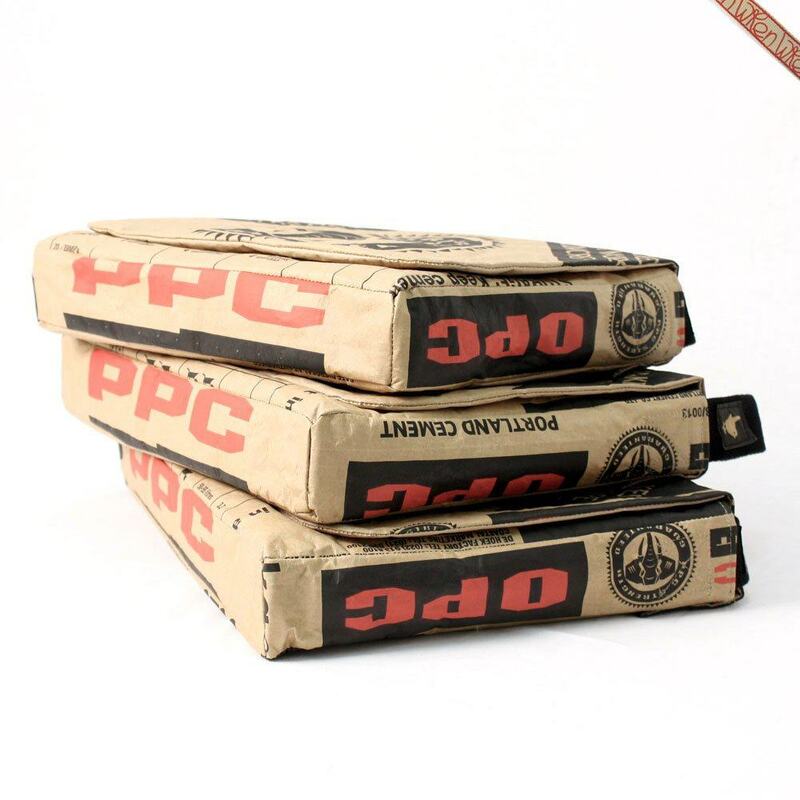 If you visit the The Wren’s website you’ll see a whole range of: bags, sleeves, cases all made from the same Pretoria Portland Cement paper bags. I’m ordering the 13″ Black with red highlights, can’t wait! 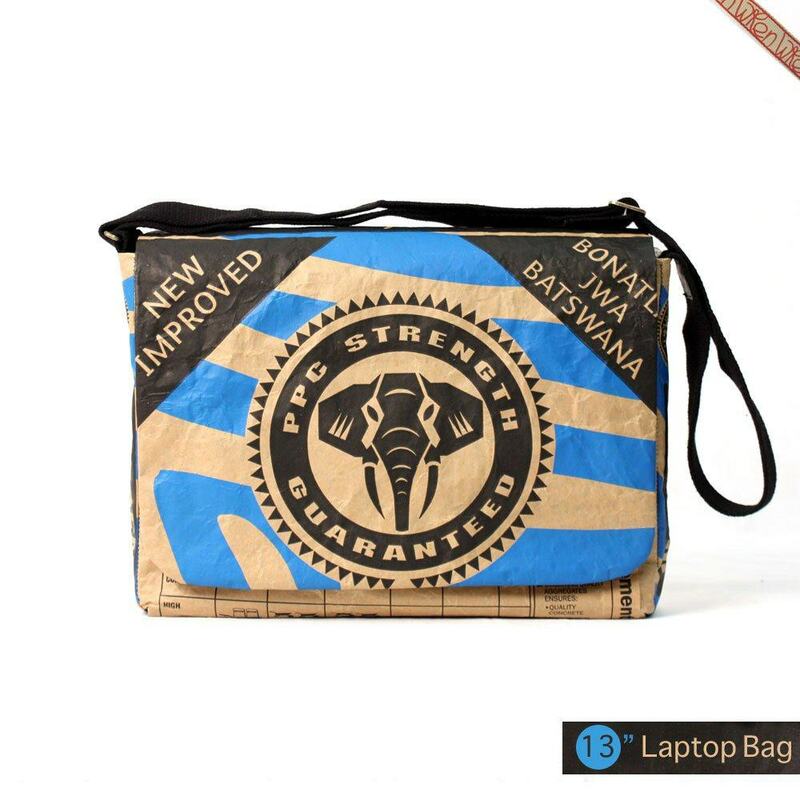 There’s so much to love about these cement bag bags: the bold and striking graphics, the typography, the icons and symbols, the colour use, the snug padded fit for your much cherished laptop, the simple fact these are bloody cement bags! I’ll give a review once I have received and used my own, and will likely offer up a few of these in an upcoming giveaway. So make sure you are receiving my blog newsletter so you don’t miss out! You really need to check out the product page to get the full story on how these are made, and how awesome they are. 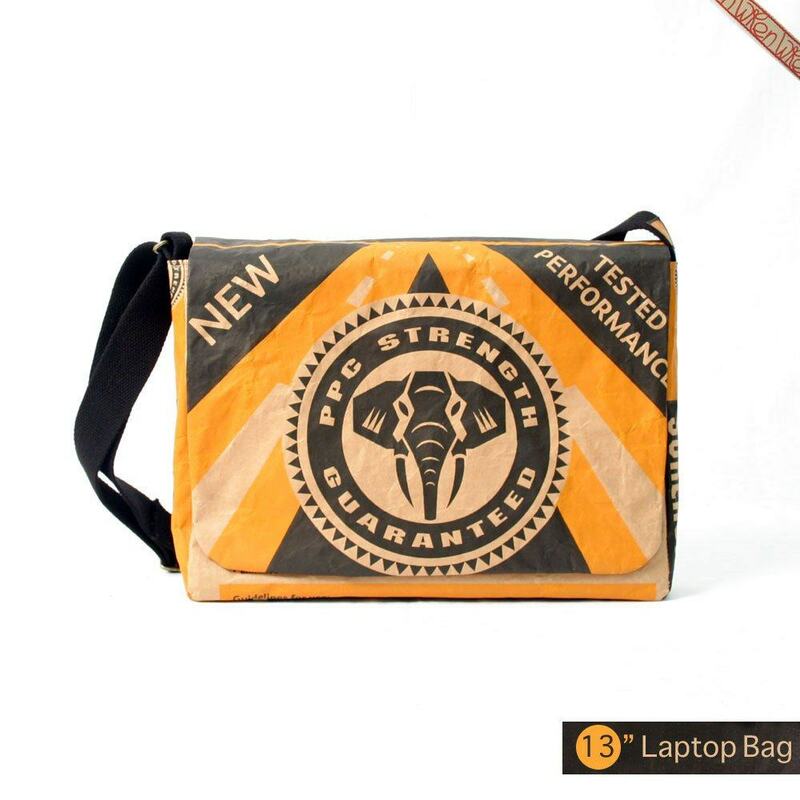 In the 13″ size you can get: black, red, yellow and blue, but the other 15″ and 17″ laptop sizes are also available.